Product prices and availability are accurate as of 2019-04-16 08:56:58 EDT and are subject to change. Any price and availability information displayed on http://www.amazon.com/ at the time of purchase will apply to the purchase of this product. 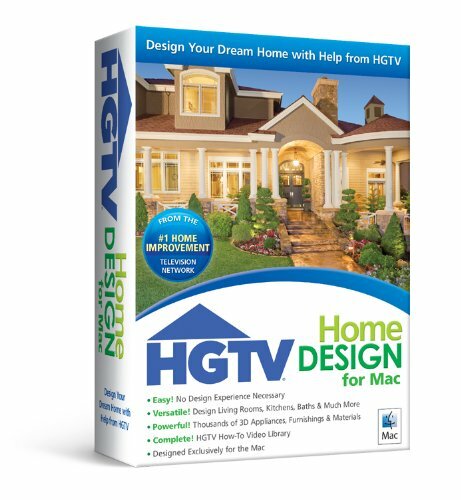 Take a fresh approach to the way you live with HGTV Home Design for Mac. This innovative home design software delivers the powerful tools and inspiration needed to transform your living space, plus expert help to get the job done right. It's the ideal software for updating any room in your home, exploring your design style or redecorating using your existing furnishings. From a green kitchen to a dream home to living rooms, bathrooms and more, you'll find all the tools you need to easily plan, create and experience your new living space before spending a dime.